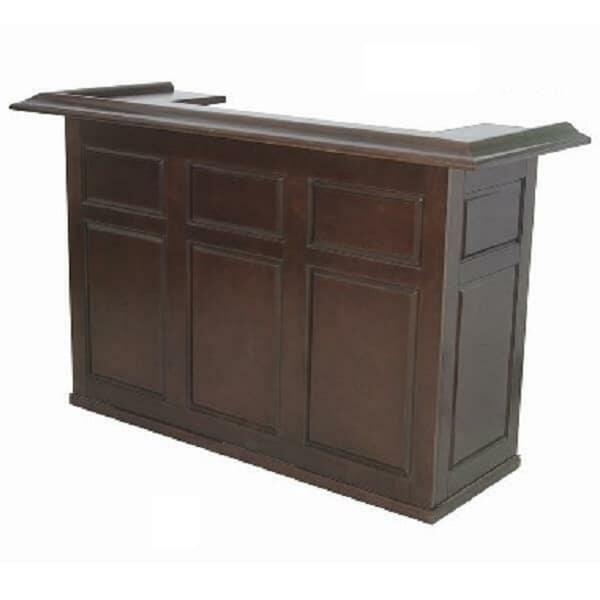 Bring the charm of an old English public house home with the 72" Home Bar from R.A.M. Game Room and Family Leisure! 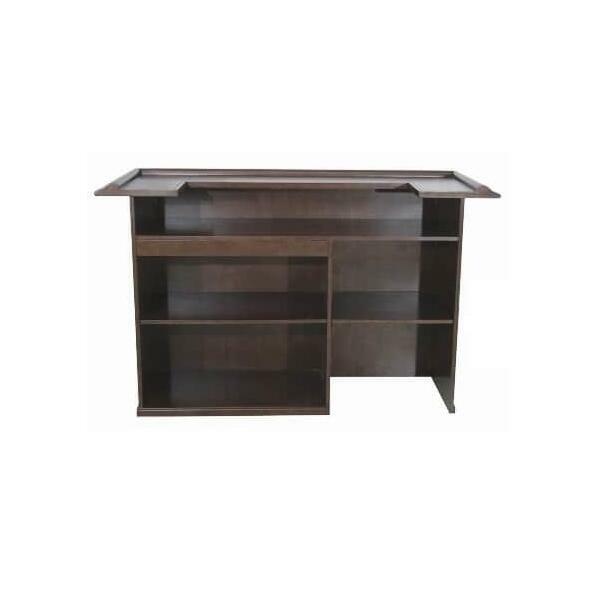 This residential model will create the perfect centerpiece for any game room, man cave or basement den. Not sure about the color? View the three finishes available in the drop down menu to the right of the main image. Three available colors include the dark Cappuccino (pictured above), multiple-toned Chestnut and traditional English Tudor. R.A.M. 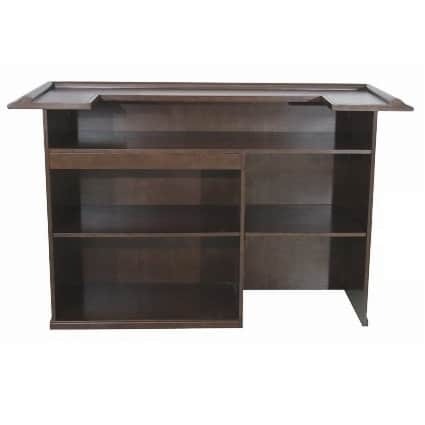 produces high-end game room furniture designed to last for ages, so the look is traditional in nature so it will never go out of style. And be sure to view the matching R.A.M. bar stools, which offers three different versions (backless, backed and swivel) coming in matching finishes (Cappuccino, English Tudor and Chestnut) to build your game room collection! This item requires freight delivery. This shipping method uses a full size semi-truck and product can be delivered to a street side location or into a room of choice based on the level of service requested. Most delivery times within the Continental U.S. range from 5-7 days on in stock merchandise. A representative will call to schedule your delivery which will require a signature upon receipt.